Stitch Painter's Tools allow you great flexibility in design. Stitch Painter's Palette panel. 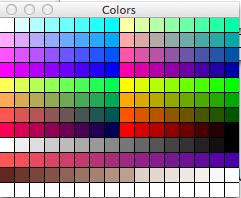 This holds the colors/symbols/textures of your choice, to use while you create a design. Stitch Painter's Palette panel has various quick controls that allow you to set the fill and outline colors, make colors be transparent, set the background color, set up colors to be locked, etc. All these features make designing quicker and easy. Use Stitch Painter's Colors panel to create custom colors, or as a larger library of colors that may be moved into the Palette panel. Stitch Painter's Symbol panel allows you to create and move symbols into your gridded designs. Symbols can be used to designate colors or actions. The panel contains knit and crochet symbols amongst others. 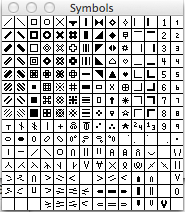 You can create your own custom symbols as well, which wil be permanently saved for future use. 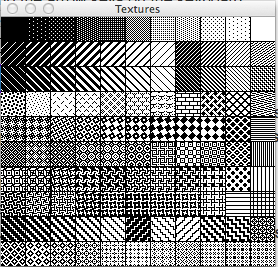 Stitch Painter's Textures panel allows you to use black/white and/or two-colored textures in your designs. 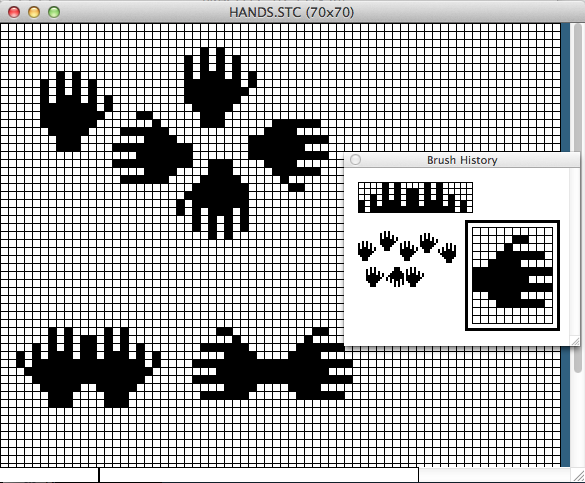 Use this to simulate tweed yarns or two-color fabrics, etc. 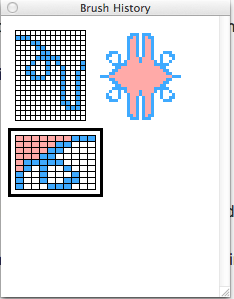 This is an example of using symbols in Stitch Painter. The white area was created by using the No Grid function. Stitch Painter's History Panel tracks the operations you perform while working in the software. This allows you to back up to whatever point you choose. Consider it a multiple undo/redo. 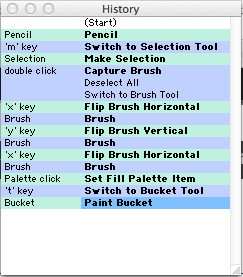 Stitch Painter's Brush History panel stores the brushes you are using while you work on a project that utilizes multiple brushes. 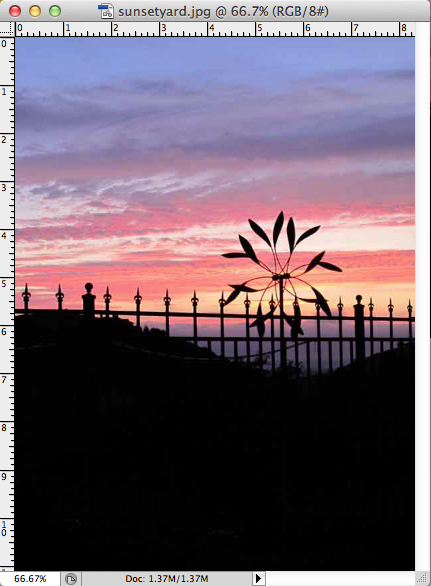 Brushes are created by selecting and capturing images/motifs in your document. These can be stamped in place, rotated, etc. 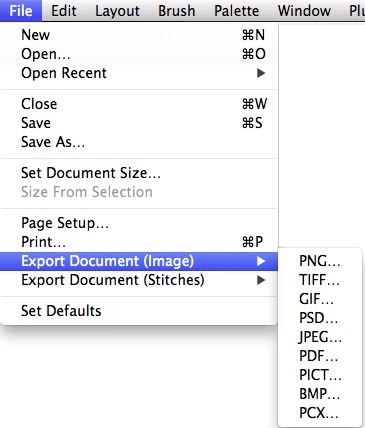 You may also save Brushes for use in other documents. 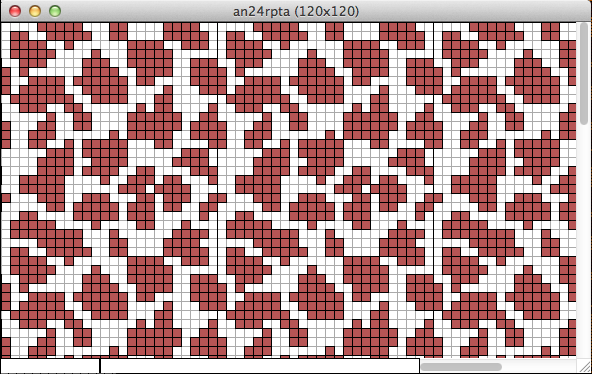 Example of a multi-colored pattern created with Stitch Painter's pattern function. 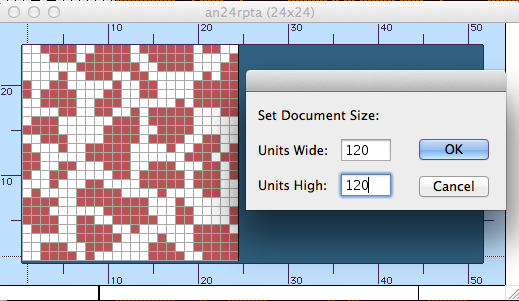 You can set the document size to a maximum of 1500 grid squares in either direction. 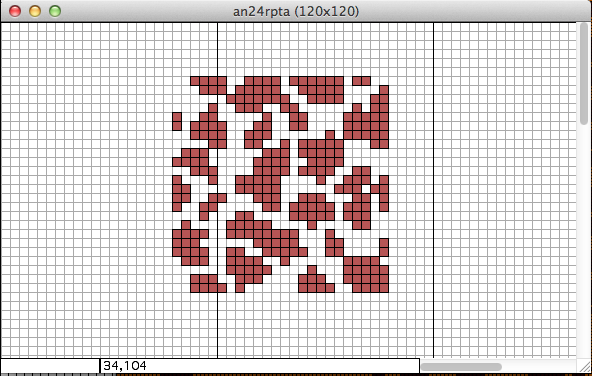 Stitch Painter allows you to export gridded or single pixel images to a variety of file formats. A brush is a captured group of stitches. These can be flipped, rotated, stretched, etc. 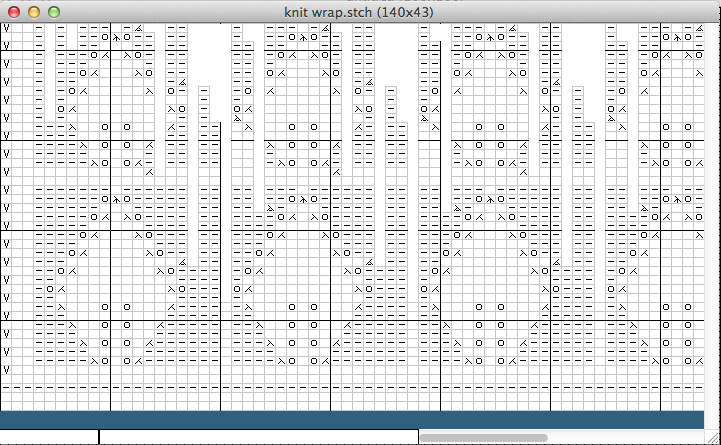 Working in Stitch Painter. 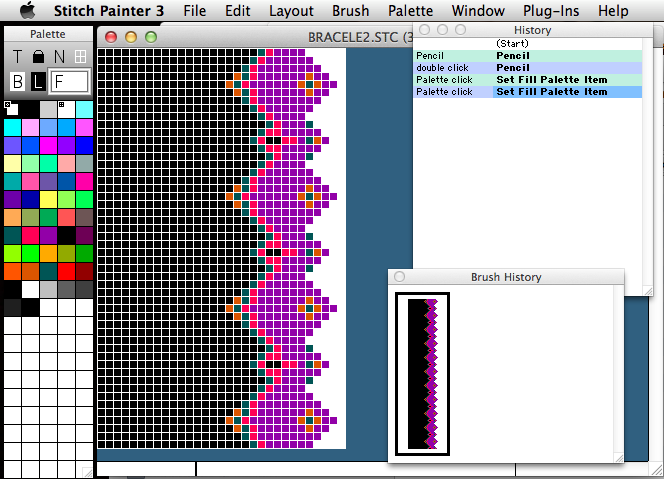 This image uses the no grid feature to the right of the bracelet design. 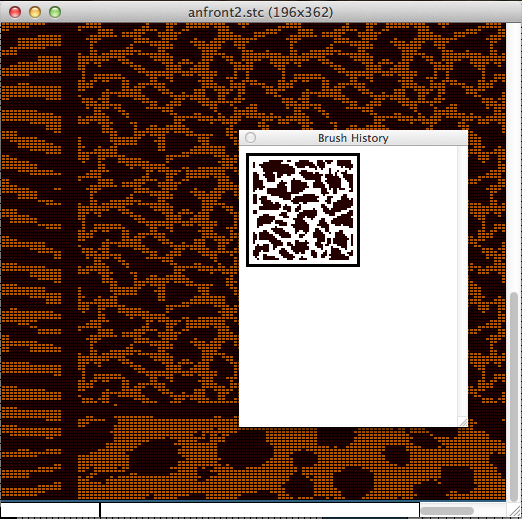 You can also see the History panel as well as the Brush History panel. 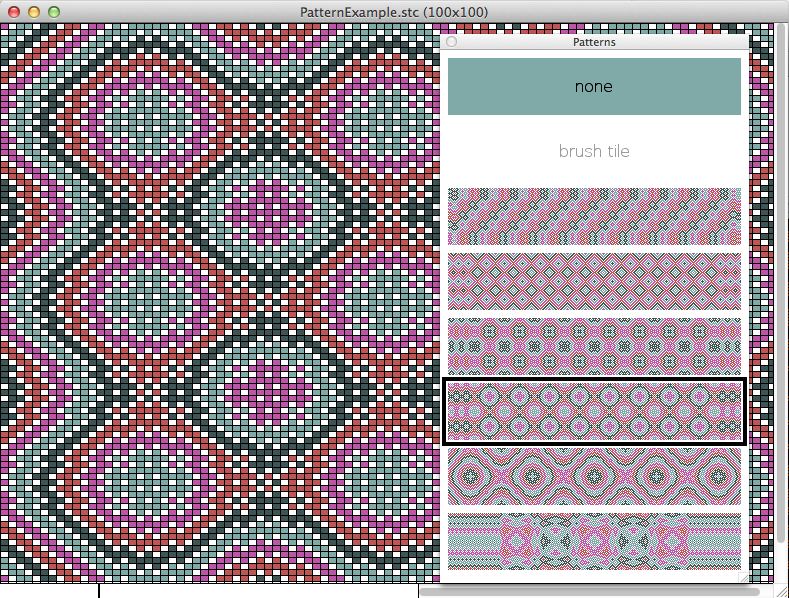 Stitch Painter's rulers may be turned on to assist you viewing your stitches and rows, as you design. This motif is captured and ready to repeat. 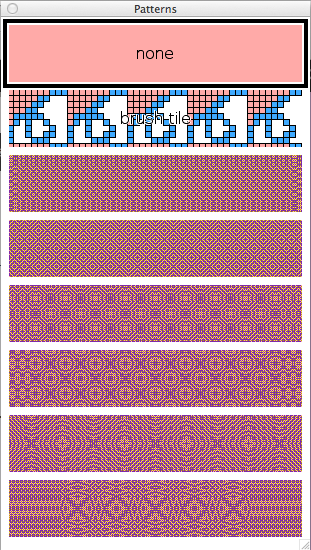 It is a 24 x 24 stitch motif, which will work well for a variety of textile arts, but particularly punch card knitting machines. Repeat laid down and colored in Stitch Painter. Here you see the motif from the previous slide repeated. 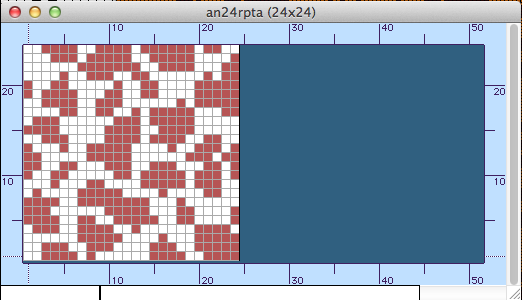 An example of a pattern built using the Repeat function of Stitch Painter. 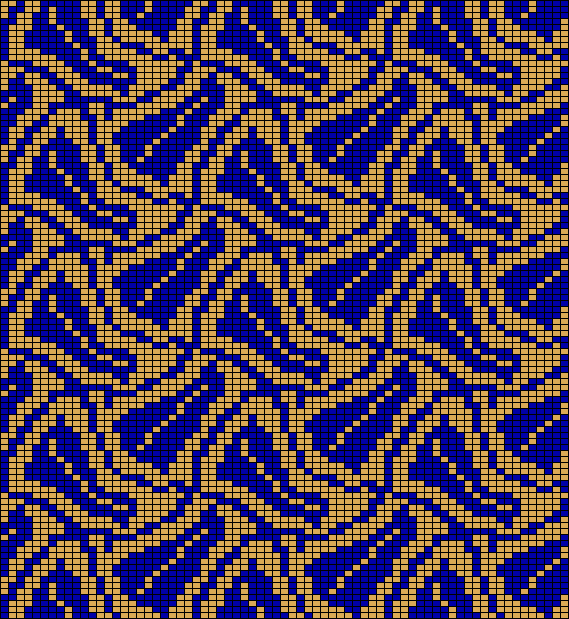 This design is for a beaded bracelet. The grid is set to 'white' and the white area to the right of the design is set to 'no grid'. A photograph of the sunset over Susan's backyard. 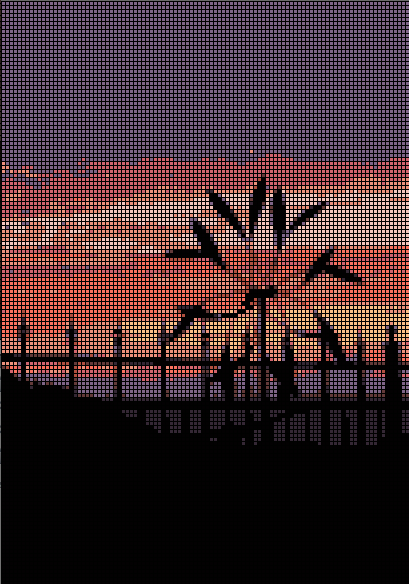 The sunset photo was brought into Stitch Painter (with the Full Color Import module), color-reduced and gridded. • Resizable panel that can be positioned vertically or horizontally. Open Recent – Now you can find a list of recently saved files. document without needing to save the brush first. necessary to have a brush first. insert rows and/or columns within a document. This is very controllable. When you repeat, SP grays the grid and shows you your repeat size. Size From Brush- Can set repeat size from the current brush size. Working Area menu which toggles. colors in the Palette panel. Select Items Used in Document – lets you select the colors/symbols, etc.